Manage Executive Stress to Maximize Career Development for Executive Advancement. 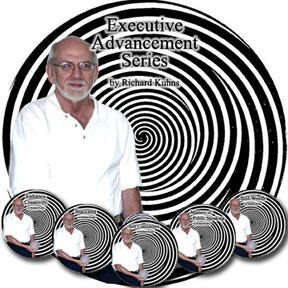 With the most advanced thinking on the planet, the executive advancement series has everything for the executive to deal with executive stress, career advancement, set, reach and attain goals; build Self Esteem, succeed with The Mastery of Public Speaking, develop Self Confidence and reach and enjoy success. Executive Advancement is a multi faceted goal. The The Success Program provides you the tools for achieving your goals and moving beyond self imposed limitations. For indeed, can anyone do more to impede your progress than you? Building self confidence makes career advancement a natural process. Sure career advancement often means self expression in public which is why this program provides you with the The Mastery of Public Speaking. Can you imagine having fun speaking in public and actually having your audience give your presentation for you? This program reduces the executive stress of public speaking by providing you the secrets to how you can guide your audience to contribute in such a way that it looks like you actually gave the presentation. Yet with all your success in career advancement in accumulation of wealth and fortune, without a healthy self worth, it could very well be all for naught. The executive advancement series contains the most valuable technique in developing true Self Esteem. And yes, wouldn't it be great to move directly to your goals without any disappointments? Of course and yet we live in a real world where in reality life is often more about the plans that fall through and need adjustment than it is about the goals we set. The Building Self Worth Program's second cd is about using emotional disappointments to catapult you to executive advancement enabling you to master executive stress. Bonus Program: And yes, results are often enhanced with a creative approach. Let's face it, for career advancement, you'll need to solve problems and Enhance Creativity which is fundamentally imperative for executive advancement. Trying to solve problems creatively can be like trying to remember someone's name--the harder you try to remember it, the more difficult and elusive it is. Stop trying and guess what? The name floats to your conscious. That's the creative mind at work. However, trying to remember something or solve a problem involves anxiety which reduces creativity. This program is about turning over the problems of life to your creative unconscious brain, so if you've been thinking that you're not very creative, or need a creative boost, then the bonus program--Enhance Creativity--will be an important addition to your executive advancement. In the event this happens--you order two series each with the same program, you may select another program to replace the duplicate program. If the duplicate program contains 2 cd's then you can select any 2 cd's that you wish. If the duplicate program contains one duplicate cd, then select any other single cd program. You will be given opportunity when you place your order to add a note at which time you can specify your substitutions.